Make a grand entrance to the first garden party of the season in the Marchesa Notte™ Strapless Printed Floral Cocktail. 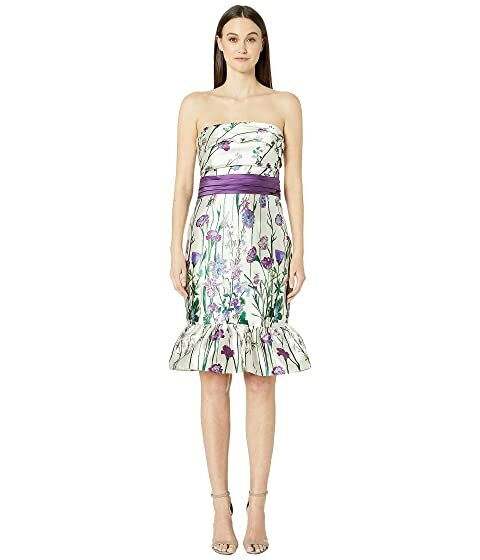 Bandeaux neck, sheath dress in floral print. Horizontal gathering along the bodice. We can't currently find any similar items for the Strapless Printed Floral Cocktail by Marchesa Notte. Sorry!